Get ready as the SRT Viper GTS-R prepares for the 2013 American Le Mans Series season. 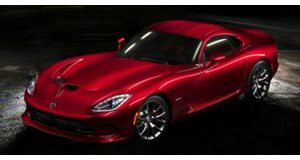 There was a time when it appeared that the Dodge Viper would fade into history as Chrysler faced some serious financial times. Fortunately that’s all in the past and the SRT Viper is now upon us – along with its racetrack counterpart, the Viper GTS-R. Set to compete in numerous American Le Mans Series events for 2013 including the 12 Hours of Sebring, the Viper GTS-R is featured in this short trailer for a documentary that will go behind-the-scenes of the race team as they compete for victory. Beyond the Checkered Flag" is an upcoming series that will document the GTS-R race team throughout the 2013 season.